This is not meant to serve as advertising for 16Personalities, but I really like learning about personality types. I have taken a number of personality quizzes, and all of them point to the INFJ personality. Strength of individual traits: Introverted: 84%, Intuitive: 59%, Feeling: 75%, Judging: 55%, Turbulent: 83%. Here is the full analysis of my personality profile. The section under identity has me pegged to a tee. Literally, the “T” in INFJ-T is for turbulent. “Turbulent individuals are self-conscious and sensitive to stress. They are likely to experience a wide range of emotions and to be success-driven, perfectionistic and eager to improve.” Sigh. It’s not wrong. Take the quiz! What is your personality type? One neat thing we do at the UC Merced Library is meet during a lunch hour to discuss information literacy and research instruction. We have an internal LibGuide for these sessions. 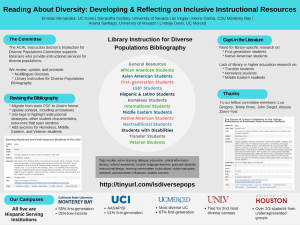 Over the summer, we met after the Library Instruction West 2016 conference to share about sessions we attended as my colleagues and I tried to attend different sessions from each other. I shared two sessions I attended at LIW 2016 during the first brown bag (you can read about everything I attended at LIW 2016 here). We had our second instruction brown bag lunch in mid-August. Here is a summary of the sessions my colleagues attended at LIW 2016. This session referred to Problem Based Learning (PBL) and the ARCS Model of Motivational Design. The ARCS Model can help encourage student motivation. A refers to attention, stimulating and sustaining learners’ interests. R refers to relevance, meeting the needs and goals of learners to effect a positive change. C refers to confidence, helping learners believe they will succeed and can control their success. S refers to satisfaction, reinforcing the accomplishment with internal or external awards. Chapter 3 of John Keller’s (2010) Motivational Design for Learning and Performance: The Arcs Model Approach provides strategies for how to approach each area. It can be challenging to stimulate students’ interest in learning, and I think it’s perhaps more challenge for research instruction because students tend to be over-confident in their research abilities when arriving to a session. I found the ARCS model really useful to pinpoint the areas where I can focus my efforts to increase motivation in my teaching. In our discussion about how to apply ARCS, we all agreed that getting and sustaining students’ attention is the hardest part. I struggle with this, too, because, usually, I am really focused on getting the housekeeping bits out of the way, including objectives for the lesson. One of my colleagues shared that one “hook” she uses is a cute video about how picking a topic is research (I have used the video before, but not, specifically, as a hook). Generally, our instruction is tied to specific course assignments and requirements, so it’s pretty targeted, though I do try to indicate that what they are learning is relevant for research in and out of school. Confidence is a little more challenging because, generally, we are only seeing students one time, but we do reinforce during hands-on practice and iterate that research takes practice for everyone. during A strategy to help measure satisfaction might be to use Padlet to ask students what they are hoping to learn at the beginning of a session and then going back to see if the things students listed were met. As a result of this discussion, we will be using an exit slip for our instruction this semester that seeks to gain feedback about attention, relevance, confidence, and satisfaction. We will have the option to use our other exit slip for those who wish to measure some other things. After this term, we’re going to analyze the results. I’m really looking forward to seeing how focusing on these areas can improve my teaching. The UCLA Library developed the Digital Research Notebook as a way to move beyond one-shot instruction (the one-shot plus language by Char Booth). The Google Doc is a “combination of video tutorials and reflective writing prompts, [which] guides student[s] through the research process. The notebook can be assigned on its own, as a pre-assignment for a one-shot session, or as the backbone of a credit course or research consultation.” The notebooks are useful for librarians to actually be able to see student work. Mary DeJong and Wendy Holliday reported their findings from surveys and interviews conducted with graduates of Northern Arizona University who had majored in engineering. Those surveyed discussed what tools they use to find information, what information needs they have, and how they approach various research projects. Check out the link to the presentation slides to learn more about their findings. I think the results hold lots of implications for librarians who teach information literacy for engineering students. There may be something you can create with engineering faculty that would be helpful for students. Yosemite National Park is 2.5-3 hours from where I live. I know, I’m pretty lucky, but I don’t go very often. Before this past Friday, the last time I went was in 2009! UC Merced is the closest university to Yosemite National Park. The university does some research at the park and also has a partnership with the park for the Yosemite Leadership Program. In the spring, before I actually began working at the UC Merced Library, the park’s librarian, Virginia Sanchez, visited the library for input on modernizing the park’s library. It was a reciprocal visit, so we got to visit the Yosemite Research Library last Friday! We toured the library and museum at the park, and we also visited the archives, which are located off-site. I had no idea how varied the collections are in Yosemite–baskets, dry and wet specimen, photographs, books, paintings and other artwork, etc. I was also glad to learn that the park works with the seven federally recognized native groups from the area, as well as some of the unrecognized native groups. The library is at the very top of the park’s museum. It’s a small space that is in need of modernization in order to make the collections more accessible. The library is currently working on moving to the Library of Congress Classification system. There are some cabinets that need to be cleaned out, some items that need to be stored properly, and there are some things that would make great candidates to be digitized and put online. There is actually a campaign going on right now to raise money to modernize the library. This year, the national park system turned 100, and Yosemite celebrated 90 years as a park. There is a treasure trove of materials waiting to be discovered by a wider audience. I think this is definitely a worthy cause.